I still remember the first day that I played the original title in the series. My friend handed me a CD, which was covered in grease, and told me that my then low-end PC system should be able to run it without too much of a hassle. I installed the game and started playing. The objectives were simple: keep your little virtual humans, called Sims, satisfied in different aspects such as hunger and energy so that they can go to work and earn money. Then you can buy them the most expensive objects from the in-game store and get the biggest house in the neighborhood. Despite its simplicity, “The Sims” was the best game I had ever played, surpassing my previous euphoric experiences with Nintendo’s “Super Mario” and EA’s “Need for Speed II.” I would come back from school everyday, open the game, and spend hours sending my Sims to shower, watch TV, sleep, cook, go to work, socialize and play video games. I even remember getting a call from an in-game adoption agency asking me if I wanted to adopt a baby or not. Although I could never take care of the baby long enough before the social worker would take it away from me, I would restart the game and try over and over again to find a way to avoid having the baby taken away from me. It wasn’t until the sequel, “The Sims 2,” that I became too addicted to the game. In addition to the hours I would lose simply playing the main game, I spent even more time creating my Sims using the new extensive “Create A Sim” feature. I would move my Sims into the house of a rich family and kill the other family members by either trapping them inside the pool, leaving them to drown, or surrounding them with walls, leaving them to starve. It was a little bit insane, but practically goofy in the world of the game. Even if I screwed something up or made a wrong decision, I could load my previous save file and start over again. I may not have been organized in real life, but my virtual family kept their house clean, paid their bills on time, and did their assignments immediately. Every once in a while, my friends and I would enthusiastically share our latest achievements in the game with each other as if we were parents bragging about our gifted children. My relationship with the “Sims” series has lasted until today, but my friends’ didn’t. By the time I was 15, I could no longer share my latest “Sims” adventures with my friends. It wasn’t because they were tired of hearing me talk about the virtual objects I was so into, but because they thought they had outgrown the series. They used to share their own Sim stories with me, but it was their time to declare that they were simply too old to play the game. After that, our game-talks turned into discussions about the latest entry in the “Call of Duty” series or whatever was popular in the moment. I must say that I enjoyed playing other titles in a variety of genres, but for me, other games mostly provided short-lived satisfaction, whereas the “Sims” series has been able to keep me satisfied for the past 10 years. But then I can’t help but wonder: what has kept me playing the “Sims” series for the past 10 years? Is it because I want to have a fake experience of the ideal life I’ve always wished to experience, over and over again? Or is it because I’m still trying to figure out my own version of ideal life? If I say today that I’ve found the answers to these seemingly existential questions, I have most likely lied to you and to myself. I don’t simply play the Sims series for the sake of spending my time doing something fun, yet I don’t play the game trying to find answers to my deepest desires and needs. The truth lies somewhere in-between, as it always seems to. The important part is that the series has kept me interested since the first day that I inserted that greasy CD into my computer’s disk drive. My journey through this obsession hasn’t been easy. 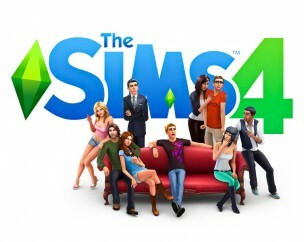 The reception for the latest entry in the franchise, “The Sims 4,” has been discouraging, mainly due to its lack of inventive content. The game still has a long way to go until it can match its predecessor and all the additional “Sims” content released over the years. As a result, the future of the series is a blur and the once massive fan base is slowly fading away. Even though “The Sims 4” might be the last main title in the series, marking the end of an era filled with millions of Sims being controlled day and night, I have and will still find myself playing the previous titles with a deep sense of nostalgia mixed with striking new discoveries that, all together, keep me from setting aside the game with others I’ve outgrown. Today, as a college student, I may not have the time to play video games as much as I used to five years ago, but in the middle of all the assignments, papers, and work I have to do every week, I sometimes think: what would my Sims do?